If you’re volunteering or visiting Lithuania in the summer months, you should think about visiting the beach! Lithuania is constantly surprising us. We knew this place would be filled with castles and cafes, but cute beach towns? We’re smitten. Our volunteers living in Lithuania get the chance to see and do more in the small country of Lithuania and that includes taking a weekend to visit Klaipeda and Palanga .... unless you're already living there! Interested in life in Europe? 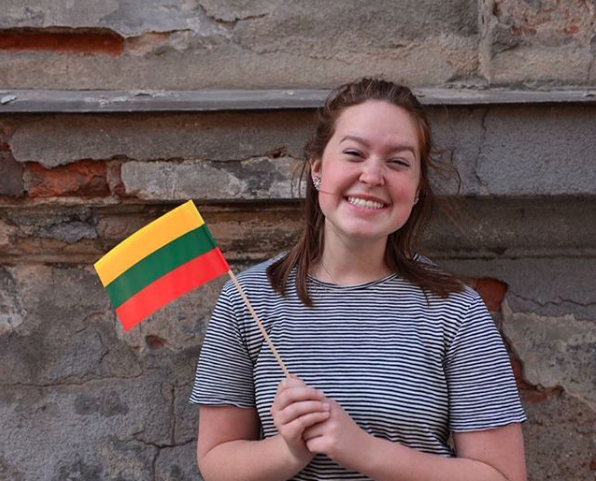 See what volunteering in Lithuania is like, right here. 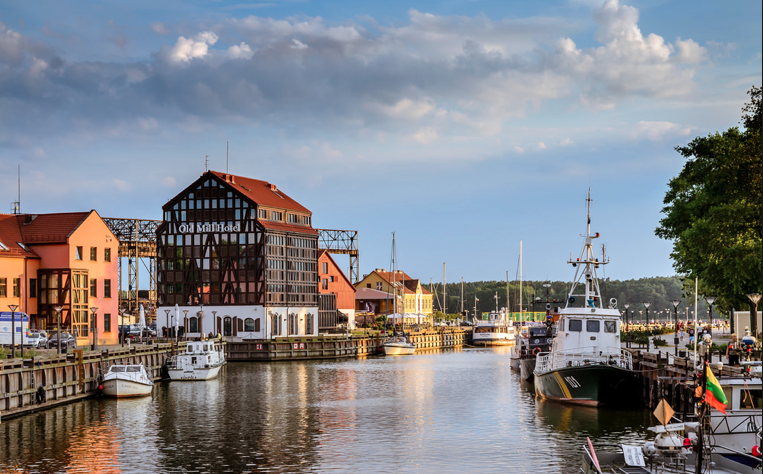 Found on the northwest coast of Lithuania, the city of Klaipeda is the third largest city in the country, but it feels like a quiet fisher’s town. Klaipeda’s a charming stop over for a few Baltic cruise lines, and with city streets that are oddly reminiscent of small German towns, we can see why. The city sits right on the Black Sea, and has a narrow strip of land just to the south that’s fun to check out. The strip is called the Curonian Spit (it’s UNESCO site) that you'll need to explore. And if you have time, we also recommend heading north to the coastal town of Palanga. Past ILP groups have talked to their Local Coordinator about hiring a van to drive you which is very convenient if you can work that out (and not too expensive, since you’ll spit the cost with your ILP group). But if that’s not an option, don’t worry. You can easily reach Klaipeda from Vilnius; it’s about a 4 hour ride. You can book tickets here. Prices look to be around 14 to 17 euros for a second class ticket, but you can pay more for a first class ticket if you’d like. It’s easy. There’s a city bus system in place, as well as taxis, but you can walk to most places you’d be interested in seeing. You can pay for your bus ticket directly to the driver; get help seeing where the buses go with this interactive map. Most of the Old Town district is walkable, but you can also often find vendors who will to rent you a bicycle if you’d prefer to ride around (which is a fun option, by the way). Buses can also take you up to Palanga, which we get to later. The city itself is just darling. You’ll find an old sea port, a cruise port, and a charming town lined with shops, stores, and houses to explore. Mostly we suggest just walking around (camera in hand) before visiting Palanga and the Curonian Spit. In and around Klaipeda, you can hang out at a couple of beaches. The most popular is Smiltynè (which is actually on the Curonina Spit, by the way, so keep reading for info on how to get there). Smiltynè has wide, sandy beaches and gets quite popular in the summer time so you may need to battle some crowds. Giruliai and Melnragė are also popular beaches with a pretty coastline. If you’d like to take a dip, pack your swimming suit and dive right in. As a head’s up, even in the summer time the Black Sea can be a bit chilly, but on a warm day, it’s refreshing. Just south of the small city of Klaipeda is a narrow strip of land that separates the Black Sea from the Curonian Lagoon. One ILP Volunteer said the Spit was her favorite part of their weekend in Klaipeda. It’s partly owned by Lithuania, and partly owned by Russia, but the area is blanketed with white sand dunes and a stretch of coastline, dotted with little villages and forests. Once you’re on the Spit and have suntanned at Smiltyne beach, volunteers suggest taking a bus down to the Hill of Witches. Found on the western side of the Spit, the surrounding forest is the home to an ancient Lithuania folktale; there are intricately carved sculptures and wooden statues of witches and trolls and totems hiding in this forest. It’s another highlight most tourists miss! You can take a bus here from Smiltynè to the Hill Of Witches. Here’s the address to show your bus driver: L. Rėzos g., Juodkrantė 93101, Lithuania (to make sure you’re going to the right stop). 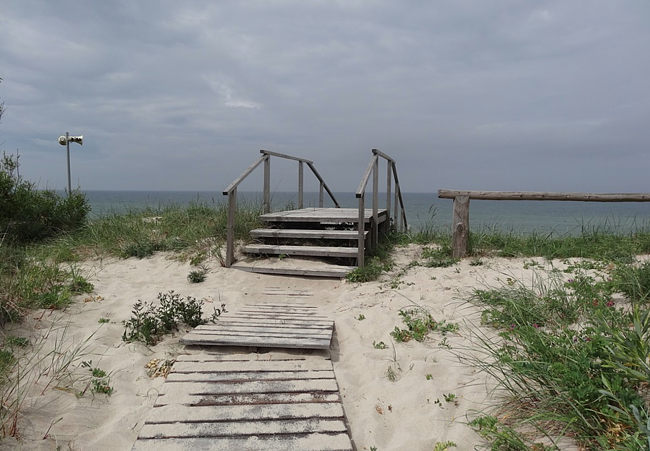 Volunteers also suggest riding a bus down to Nida (on the eastern side) — one takes you from Smiltyne to Nida. It’s a nice area that is surrounded by some cutie neighborhoods (seriously, these houses are indescribably charming). You can rent bikes in Klaipeda and take them over on the ferry (suggested) or you might be able to find bike rentals on the Spit itself. Riding bikes on the Spit is another must-do thing; there are darling neighborhoods to admire and a street that takes you all along the coast. Get To The Curonian Spit: Head to the Old Ferry Port (for passengers and cyclists - there’s another ferry for vehicles). It’s about 0.80 Euro per ride and drops you off at Smiltyne, which is the most popular beach in the area. Here’s the address of the Old Ferry Port: Šiaurinis ragas" at Danės st. 1, and the the ferry timetable. (The ferry runs about every 15 minutes). Found just about 30 minutes north of Klaipeda, you can easily take a bus to Palanga, which is another cute coastal town. 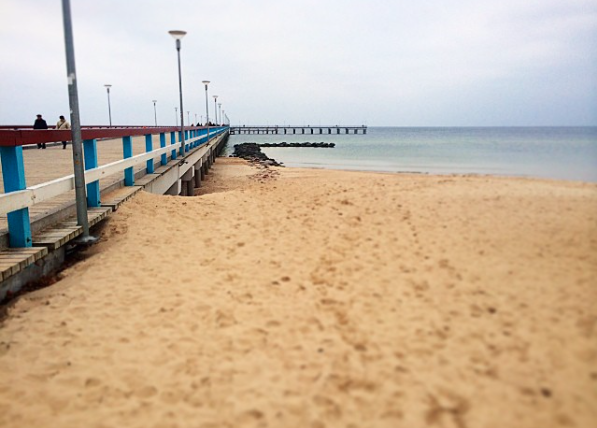 The main pull in Palanga is the long stretch of sand (backed by sand dunes and pine trees) and the “L” shaped pier. In the summer time, this place is a vibrant sea-side resort for locals wanting a bit of sun and sand. You’ll also spot tourists from Russia, Germany, Poland, Sweden and other nearby countries. You can find vendors renting pedal boats, bicycles, horse-riding along the beach if you’re interested. Past groups loved getting horses from this vendor. (address Klaipedos pl.34, Palanga). The Basanavičiaus pedestrian street is also a cute place to check out; you’ll find restaurants and cafes, and some fun little shops to peek into. Along the boardwalk, you’ll find jewelers selling rings (amber and stones are a huge commodity here, so you can get some nicely priced jewelry) along with scarves, or sweet treats like ice cream. There is also a large manor home that used to be belong to the Tiškevičiai family; inside, houses the largest amber museum in the Baltic States, and the grounds create a botanical garden that is lovely to walk through in the spring and summer. Getting To Palanga: Check out bus timetables and prices (it'll just be a couple of euros) here. This is a definite summer activity. Past groups have visited in the middle of September, but the water was too chilly to swim in, and things were starting to close down. The same goes for the beginning of Spring. If you’ll be in Lithuania in late June, July or August, that is the time to visit if you’re looking for a warm day at the beach. You can still visit in shoulder seasons, but these coastal cities tend to shut down a bit and you can tell that several vendors and stands will be closed and deserted for the season. Really a question for the volunteers not already in Klaipeda: We really, really recommend making a weekend out of it. Especially if you want to visit Klaipeda, Palanga and the Curonian Spit, you’ll need a full weekend in this part of Lithuania. It also makes sense to stop off in Siauliai (which is two hours away, and home to the famous Hill of Crosses) either on your way there or your way back. 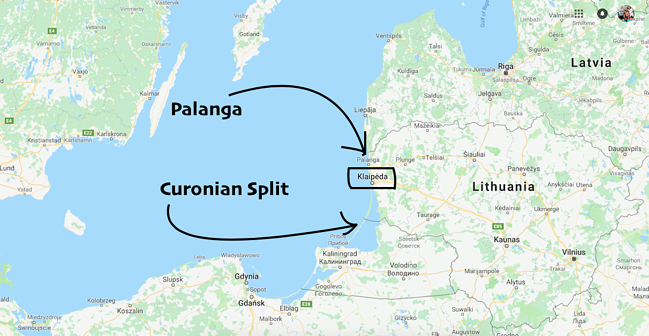 There are several AirBnBs and hostel options for this part of the country; we suggest booking in Klaipeda since you can visit Palanga on a day, and then you’ll be right in Klaipeda on the day you want to take the ferry over to the Curonian Spit. Past groups have even done a 3-day weekend here. Dying to see more of Lithuania? I do not blame you. 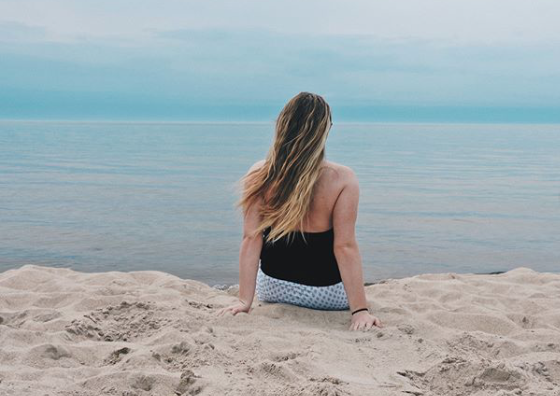 Our ILP volunteers in this country get to call some of the coolest cities their home, and get every weekend off to see places like Palanga or hop over to another country ... anyone up for a weekend trip to Latvia?